More testing of Dunlop’s 2017 construction Supercars tyre is on the cards as the control supplier strives to understand recent failures. 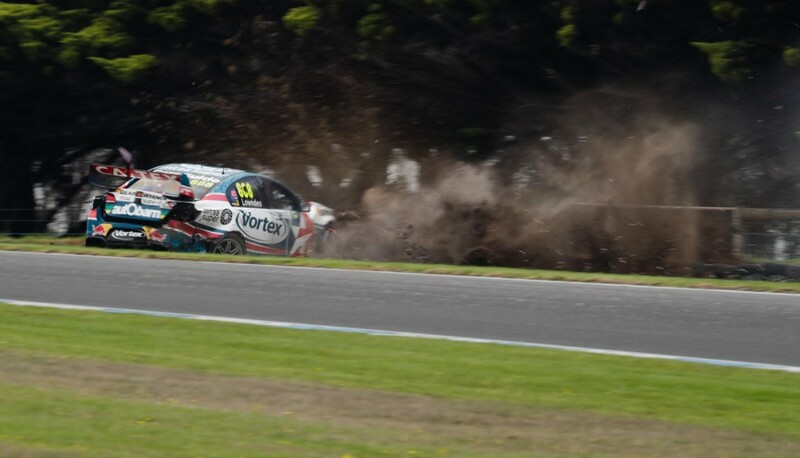 Leading drivers Craig Lowndes, Fabian Coulthard and Shane van Gisbergen suffered right-front tyre failures today during practice at the WD-40 Phillip Island 500. Tyres had been the talking point heading into the weekend at the high-speed circuit following a handful of issues across earlier races on the new rubber. Aggressive camber and tyre pressure settings have been blamed for previous issues as teams trade-off speed with the risk of damaging the inside edge of the tyre. Sitting out the second session after his crash in Practice 1, Lowndes was adamant that his car had been running a more conservative set-up than that of his team-mates. Having assessed tyres from every team during the day, Dunlop motorsport manager Kevin Fitzsimons stressed that Phillip Island is particularly sensitive to aggressive set-ups. Dunlop is, however, determined to investigate all potential reasons for the failures, including the possibility that damage is being done when tyres are turned on their rims before being reused. Noting that the blown Lowndes and Coulthard tyres were both run in Adelaide before being reused today, Fitzsimons says the problem must be fully understand before the 2017 tyres debut at Bathurst in October. “We need to have a good look tomorrow in the race because no one has done a lot of laps yet,” said Fitzsimons. “You can’t be aggressive at this place (with set-up). The tyres aren’t bulletproof but they’re not designed to be bulletproof. “The tyres may have had damage prior to coming here that you can’t see. It may even be the bead breaker where you break the bead of the tyre to turn the tyre on the rim. “We can’t do anything about it this weekend but I’m going to experiment with a couple of tyres and put them in a shearography machine overseas and get them to see if that’s possibly the issue and go from there. “(The shearography testing) can actually show if there’s fractured chords in the tyre. We’d consider doing it on new and used tyres just to get a bit of a handle on outside influences to see what else it can be. The shearography testing would likely take place in Japan or Thailand and follow extensive testing in the United States earlier this year. Troubles for @shanevg97 and his right front tyre. He heads into the pits, sitting P7 on the timesheet. Leading drivers downplayed the issues after practice today, with van Gisbergen shrugging off his high-speed scare as part of the process of tuning the car. Scott McLaughlin said he was running the same set-up as Coulthard when his team-mate’s tyre blew in the opening session. “That was a weird one. We were both running the same cambers and pressures and mine was fine,” he said. “We’ll have a look at that overnight and we’ll learn something from it. It’s a balancing act around here. 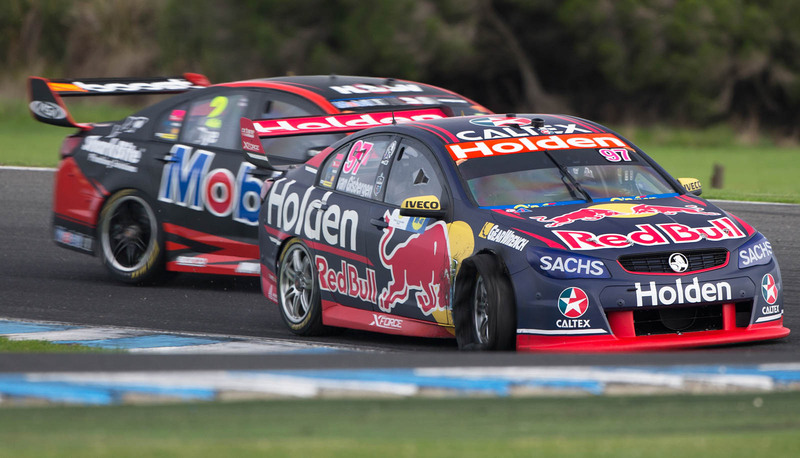 Jamie Whincup, the only Triple Eight driver not to have a failure today, is adamant that Dunlop is not to blame. "It's always a concern, but nothing massive,” he said of the issues. “We've had tyre issues over the years but you can't blame the tyre. It's where you're trying to find the limit of the tyre.